Today I’m going to take a page from Evan Schemenauer’s book blog. There are a number of issues relating to the NLL that I have yet to write about, so rather than post an article with a single focus, I’ll combine them all in a “random thoughts” article the way Evan does. Incidentally, if you aren’t reading Evan’s blog regularly, you really should. Now only does he have some great insights into the game itself but he frequently discusses the business aspect of the league as well. In addition to the NLL, he follows and writes about MLL, WLA, MSL, and junior lacrosse as well, which I generally don’t. And check out his story about when he helped create a lacrosse tournament in Bermuda – it’s quite long but really interesting. If you only read one lacrosse blog, read this one. But if you read two lacrosse blogs, the other one should be Evan’s. I’m covering a number of stories here, some new and some not so new, so I’ll go in chronological order, oldest first. Not exactly a shocker. In fact, the only way this story could really have been surprising is if it didn’t happen. The writing has been on the wall most of the season, since Grant only played in the Mammoth’s first two games, and there were very few injury updates throughout the season. I heard an interview with Steve Govett this past season where he was listing all the players he had on IR and when they might be back. He didn’t even mention Grant until the very end, almost as an afterthought. Grant announced his retirement from MSL almost a year ago and from the MLL back in April, and in both cases his reasons were that his body just couldn’t do it anymore. Given that, it was pretty much impossible that he’d return for another season in the NLL. I can’t say I was ever a real fan of Junior’s. He’s unquestionably one of the most skilled lacrosse players in history, and I saw many games where it seemed that he could just score at will – no goalie could stop him when he was really on his game. But earlier in his career, it was sometimes possible to force him off of his game. Basically, if you pissed him off early and often enough, he’d retaliate or get flustered and that was it for him. Try that with John Tavares and he’d just score on you as revenge but Grant would take the odd dumb penalty or just lose his scoring ability to some extent. This happened less often as he matured. But Grant was either too arrogant or too aloof (or both) for my liking. While I acknowledged his skill, I didn’t really like him. Once he got to Colorado, he started doing promotional videos for the Mammoth, and my tune changed a little. He had a bunch where he was shooting on a lacrosse net from crazy distances – the top level of the Pepsi Center, a cool rock formation in Colorado, and others; they brought to mind the “nothin’ but net” commercial with Michael Jordan and Larry Bird from back in the 90’s if you’re old enough to remember that. Another was one (couldn’t find it online) where he gave a tour of his apartment in Denver, complete with his lacrosse gear out on the balcony and his kitchen cupboard full of Kraft peanut butter “imported from Canada”. I have to say he seemed pretty likeable in those spots. Then my opinion completely changed when I heard an interview he did with Teddy Jenner right after his retirement. He basically said that his whole life, he just wanted to play lacrosse and wasn’t interested in the spotlight at all. But he realized that given his talent, the spotlight was inevitable so he made the best of it. He came across in the interview as a down-to-earth guy, nor arrogant in the slightest, who just loves lacrosse. He also said that one of the advantages of retiring is that he can spend more time coaching kids, and how can you not like that? That interview made me want to apologize to him for not liking him in the past. Even if you don’t like him for whatever reason, you cannot deny the skill. Like I said above, when he was on his game, nobody could dominate a game like Junior, and his behind the back (or one-hand behind-the-back underhand) shots are legendary. Mr. Grant, it was an honour to be able to watch you over the past seventeen years and I wish you all the best in your coaching career, be it with your high school team, the MLL, or possibly in the future, the NLL. I honestly didn’t see this one coming though in retrospect, I should have. Jones is a teacher in Owen Sound, Ontario, a 2½ hour drive from Toronto (in good traffic/weather). Jones missed a number of Friday night games with the Mammoth and Rush because the travel was just too difficult. In the four years since the league went to 18-game seasons, Jones has yet to play in all 18 games. Playing half of his games in Toronto (and a bunch more in Buffalo and Rochester) means fewer travel hassles so fewer missed games and less stress on days where he does travel. I wonder if some Rock fans might have bristled at the thought of giving up two first round picks for Jones, considering he’s only eclipsed 76 points once in his career. But for Jones, it’s not how many points, it’s when. Since 2014, only four players (Dickson, Dhane Smith, Shawn Evans, Dobbie) have more hat-tricks than Jones, and only Dickson has more four-goal or five-goal games. He’s tied with Dickson for the most six-goal games. Jones will have some 1-goal 2-assist nights but the first time the Rock win because he scored six goals in the third quarter, two first round picks may not seem quite as high a price. 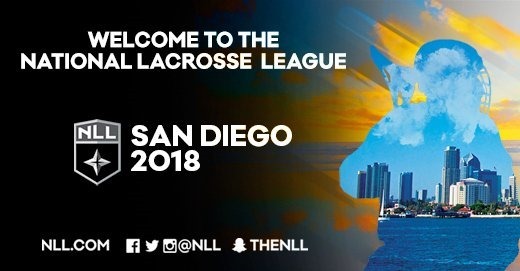 The worst-kept secret in the NLL is finally confirmed: a multi-gazillionaire named Joseph Tsai has purchased an NLL expansion franchise that will play in San Diego beginning in the 2018-2019 season. This story was first broken back in July by Marisa Ingemi (my former “boss” at In Lacrosse We Trust – I wrote there for a couple of months in 2011). Tsai has hired former Mammoth president and GM Steve Govett to be the President (and GM?) of the new team. This is the biggest news to hit the NLL since… well, in a long time, and this is the first expansion team in the NLL since the Boston Blazers in 2009. NLL fans have talked many times in the past about trying to get high-profile billionaires like Mark Cuban or Paul Allen to buy into the league, instantly raising its profile and, quite honestly, its legitimacy. As far as I know Mr. Tsai’s name never came up in those conversations but it could have – Tsai (who has Canadian citizenship, according to Wikipedia) played collegiate lacrosse at Yale, and is apparently quite a big lacrosse fan. This is huge news. Yes, the NLL has played in SoCal before, with the Anaheim Storm in 2004-2005. But their team was terrible, finishing a combined 6-26 over those two seasons. That certainly didn’t help the attendance, which hovered around 4500 per game. I know zilch about the ownership group of the Storm but suffice it to say that losing money hand over fist was likely a problem for them. The fact that Tsai is a billionaire doesn’t mean he’ll be happy to lose money forever, but it does mean that it won’t be a problem if the team doesn’t make a profit right away. Tsai is the co-founder and executive vice chairman of the Alibaba Group, a huge Chinese company that runs various online stores and is one of the most profitable companies in the world. According to WIkipedia, Alibaba’s sales in 2016 added up to almost half a trillion US dollars, more than all online sales from all US companies combined. I think we’re safe in assuming that Mr. Tsai knows a thing or two about prudent investments and how to run a successful company. A proven businessman like Tsai investing in the NLL should give other potential investors some serious confidence in the stability and profitability of the league. It’s unlikely that he’s just pulled $5 million out of his couch cushions on a whim; he’s done research on the league and made the decision to invest in it. 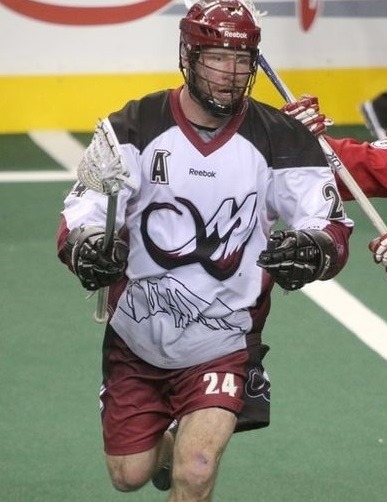 Steve Govett had been with the Colorado Mammoth since they were the Washington Power. No fly-by-night “let’s throw $5 million at this thing and see what happens” kind of owner would likely be able to pull him away from there. I don’t imagine Govett would leave the Mammoth for anything less than an absolutely committed owner. The team doesn’t have a name or logo yet and the total number of employees is probably still in single digits, but Tsai already has a right-hand man who knows the league, the game, and the players as well as anyone. Assuming Govett will also be acting as GM, the San Diego Whatevers may not have the less-than-auspicious start that the Storm had. They could be a pretty good team within a couple of years. The rumours started months ago when a Philadelphia reporter named John Barchard tweeted some NLL expansion plans that he credited to “Sources”. He talked about Baltimore, Long Island, and Montreal for 2018, then Philly, DC, Edmonton, and Miami for 2019, and San Francisco for 2020. There were eight other cities with “mild interest”, but San Diego was not among them. It turned out this was mostly his or someone else’s speculation, not actual plans. The rumours I’ve heard more recently (yesterday) included teams in Philly, Halifax, Miami, and Edmonton. While both Philadelphia and Edmonton have failed in the NLL in the past, I think they could be successful with the right ownership. Both teams had success on the floor and at the gate, though in the case of Edmonton they mostly didn’t happen at the same time. I’m not sold on Halifax. Sure, there are no other major pro sports teams within several hundred kilometers so they may be starving for pro sports out on the east coast, so that might be good for community support and thus attendance. However it means at least a two hour flight from pretty much anywhere NLL players live (and 5½ from Vancouver, and 8½ from San Diego via Toronto) for all players on both teams, unless the team convinces some players to move there. The arena in Halifax holds 10,000 so they better be filling it every night to pay for the extra travel costs. I don’t know much about Miami but I know that both the Panthers (NHL) and Marlins (MLB) have struggled with attendance. The Florida Launch are based in Boca Raton, just north of Miami, so in a parallel universe where the NLL and MLL work together for mutual benefit, that may be a good place to start in terms of advertising and building up a fan base. In this universe, however, I’m not sure it will matter. This only tangentially affects the NLL itself but does affect a bunch of NLL players. The MLL announced that there was a data breach last week, where information on (I believe) every current and former MLL player, as well as others who registered in the player pool even if they never played, was accidentally made available on the internet. The information included innocuous things like height, weight, occupation, and date of birth, but also included Social Security numbers which, when combined with some of the innocuous stuff, could easily be used for identity theft. The players are livid and rightly so. There have been no confirmed reports of identity theft as of now, but that’s hardly the point. The big question that many people are asking is “how could this happen?” But I’d like the details – logistically, how did this happen? The players are asking why the file was not encrypted or password-protected, which is an excellent question. But my question is why was it there at all? The fact that the Excel spreadsheet containing the personal data was available on the internet means that it must have been copied to the machine running the league’s web site, whether that’s their own machine or one run by a hosting company (like GoDaddy, for example). Why would anyone copy the file there? 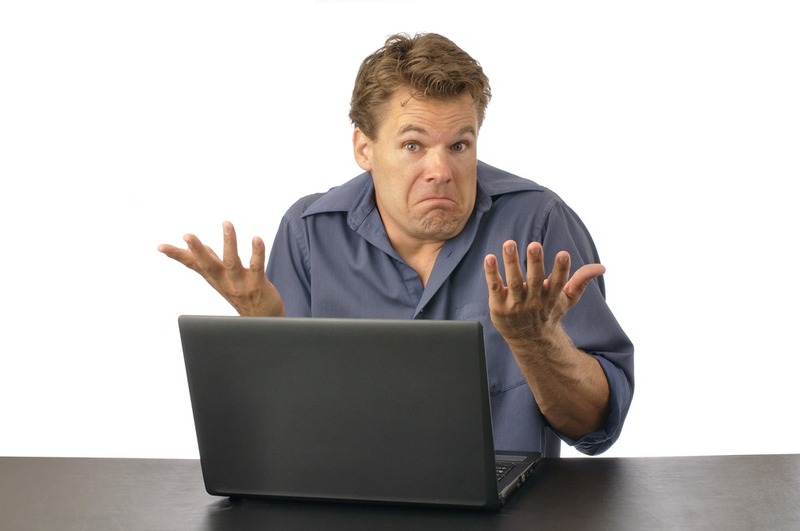 You don’t copy a data file to a web server unless you want to serve it to the web. I don’t know what happened, but here’s a likely scenario. I imagine that like many companies, the MLL has internal web sites (an “intranet”) as well as the public site. The internal ones are used by MLL employees and are only available from within the MLL corporate network. It’s possible (though not likely) that both sites are run from the same machine, in which case a badly written web page or email could easily link to the wrong file, or the file could accidentally be copied into the wrong directory. What’s more likely is that someone wanted to make the file available on the intranet (not the internet) but copied the file to the wrong server. But as someone who has worked for a database software company for twenty years (my job title even includes “security expert” though that’s kind of a stretch), I can tell you that any database or file that includes personal information (especially Social Security numbers) really should be encrypted and protected. If I’m an MLL employee and I don’t absolutely need to have the SSNs, there should be no way for me to get them. The people who do need to have that information must be trained on proper handling of sensitive information. If you must copy the file somewhere, you make damn sure that you’re copying it to the right place and that it’s removed from that place once it’s no longer needed. With this breach, the league has opened themselves up to lawsuits from anyone whose data was leaked. Since that’s all of their players, this could be very bad. In the worst case, the lawsuits bankrupt the league and it folds entirely. That’s probably unlikely but even if the league does survive, it will take a very long time to regain any measure of trust from the players. It may also have long-term ramifications in the form of players who decide not to join the MLL because of this incident. The league may have lost out on a future Tom Schreiber because he’s worried about the security of his personal information. It’s also possible that players may decide to divorce themselves from the MLL entirely, which could be good news for the NLL. Could we see the return of former NLL players like Joe Walters and Paul Rabil if they are unhappy with the MLL? This entry was posted in Colorado Mammoth, Misc, MLL, Opinion, Toronto Rock, Trades. Bookmark the permalink.